>Pop Quiz! -about our common sense of Main Street’s visual vocabulary and why we need to investigate how it happened. >The Perfect Norman Rockwell Character: Main Street – about the one “widescreen” painting Norman Rockwell did of a small town: Stockbridge Main Street at Christmas. Constructing Main Street was no simple feat and many inventions developed to support it. 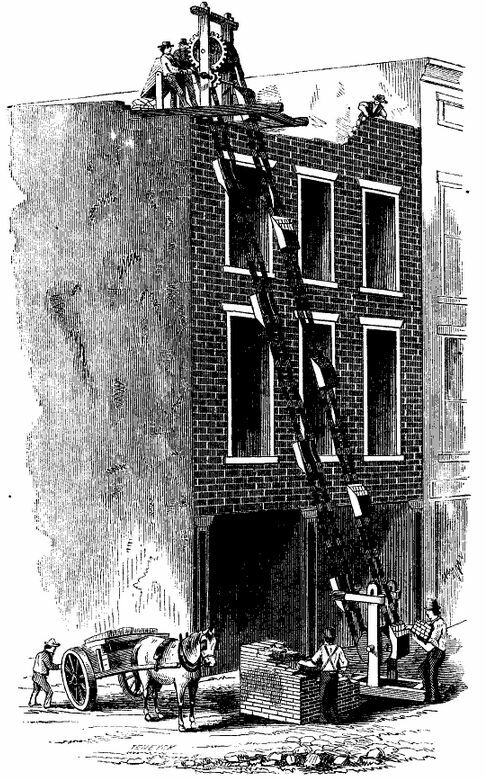 Seen here is Christman’s Brick Elevator, published in Scientific American, Nov. 24, 1860.